Home ⁄ Posts tagged "John O’Neil"
Mastering the Basics MUST Precede Embracing a Specific Methodology - John O'Neil is our Director of Performance at Cressey Sports Performance - MA, and with that role, oversees our internship program. In this article, he discusses a trend he's observed in up-and-coming coaches. This is one of the most important articles I've read this year. 15 Static Stretching Mistakes - This is one of my most popular articles of all-time, and I wanted to reincarnate it from the archives in light of a conversation I had the other day. The Top 19 Nutrition Myths of 2019 - The crew at Examine.com never disappoints, and this article is no exception. 1. The Issue With Most Powerlifting-Specific Programs - Former Cressey Sports Performance intern Jamie Smith shares some insights to help you plug up the holes in traditional powerlifting programs. 2. Going Out With a Bang: Creating and Implementing Workout Finishers - CSP-FL coach Jason Jabour delivered some great insights on how to cap off a great training session with an appropriate finisher. 3. 7 In-Season Training Strategies to Maintain Strength - CSP-MA Director of Performance John O'Neil covers some strategies for maintaining strength during the competitive season. 4. The Truth About Dodgeball and Tag - Lee Taft is a tremendous coach on the speed and agility front, and in today's post, he touches on a controversial topic: the elimination of dodgeball and tag from youth physical developmental programs. 5. What Research Can Tell Us About "Super Champion" Athletes - Tennis training expert Matt Kuzdub delves into commonalities of success among the most high achieving athletes - and how they differentiate themselves from those who don't quite "make it." I'll be back soon with the top strength and conditioning features from 2018. I missed a week of this weekly recap in light of the big Sturdy Shoulder Solutions sale last week, so I've had a chance to stockpile some good stuff for you. Before we get to it, a friendly reminder that tonight at midnight is the early-bird registration deadline for the Cressey Sports Performance Fall Seminar. You can learn more HERE. 45 Lessons I've Learned Along the Way - Pat Rigsby is our keynote speaker at the fall event, and this was an outstanding post he just published on his 45th birthday. How to Cultivate Intrinsic Motivation in Young Athletes - CSP-MA Director of Performance John O'Neil wrote up this article shortly after his 2014 internship with us, but the lessons still go strong today. The Biggest Challenge in Offering Semi-Private Training - and How to Solve It - This was an awesome post on the business of fitness from my CSP-MA business partner, Pete Dupuis. Exact quote from my wife (an optometrist) the other day: "I had to go to nine years of school for eyes. Trainers have the entire body and they don’t have to go to any? That's scary." The barrier to entry in our industry is far too low. Is Your Gym Set-up Functional or Just Pretty? - This is an outstanding post from my business partner, Pete Dupuis. 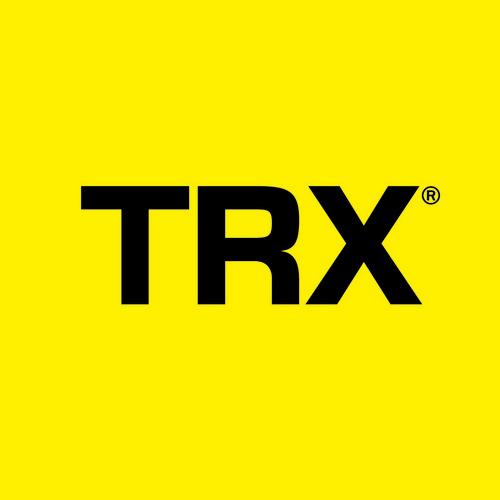 If you're a gym owner - or aspire to be one - it's a must-read. The Road Less Stupid - I just finished this up as an audiobook, and it was outstanding. Lots of very good pearls of wisdom, whether you're looking for actionable business/coaching strategies or just some good one-liner quotes. Strength and Conditioning Programs: When Precision Tops Effort - This is one of my favorite guest blogs at EricCressey.com, as John O'Neil did an outstanding job with it. I thought I'd reincarnate it in light of a conversation John and I had earlier this week. If you’re doing 1-arm rows with 110lb dumbbells but your deadlift is only 315lbs, I’m just going to put it out there that your ugly rows probably aren’t doing much for your deadlift. Or you need to stop skipping leg day. Register Now for the 7th Annual Cressey Sports Performance Fall Seminar! We're very excited to announce that on Sunday, October 14, we’ll be hosting our seventh annual fall seminar at Cressey Sports Performance. As was the case with our extremely popular fall event over the past six years, this event will showcase the great staff we're fortunate to have as part of our team. Also like last year, we want to make this an affordable event for everyone and create a great forum for industry professionals and fitness enthusiasts alike to interact, exchange ideas, and learn. We're happy to have Perform Better as our official sponsor again this year as well. In this presentation, you'll discover how you can position yourself to succeed now and in the future within the fast-evolving fitness industry. You'll learn what you must do to stand out from the competition, earn more and take advantage of your strengths to design a business that will thrive for the long-term. If you want to command higher rates, enjoy better retention and grow a business you enjoy, don't miss this session. 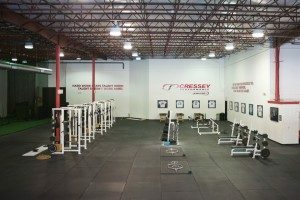 Cressey Sports Performance opened in 2007 and quickly became known as a destination for baseball players from around the country looking to improve. This niche gave rise to specific expertise with this demographic. Interestingly, development of the overhead athlete has changed drastically during the past 11 years, and Eric will outline the new challenges we face and strategies that must be employed to keep arms healthy. While the presentation will focus on overhead athletes, the overwhelming majority of lessons will also be applicable to everyday fitness clients as well. In this presentation, Pete will bring you inside the strategic mindset of some of our industry's most successful fitness business owners. He's interviewed a series of industry influencers and will share the most under appreciated components of their established and immensely profitable operations. Takeaways will include tips for upgrading branding strategy, fine-tuning employee development, maximizing the effectiveness of social media efforts, and more. Kyle will discuss why training rotational power, especially via medicine ball work, is important for everybody. Coaching high speed movements can, however, be difficult to see - and even more difficult to coach. The higher speed the movement is, the more simple the cues needs to be. Chris Howard -- Shoulder Pain: What Causes It and What Can We Do About It? Nearly every fitness professional has encountered an athlete or client dealing with shoulder pain or discomfort. In this presentation, Chris will blend his experience of anatomy and muscular referred pain patterns with strength and conditioning and soft-tissue strategies to illustrate how he addresses clients experiencing shoulder pain. Whether you are new to strength and conditioning, or a seasoned veteran, you will see shoulder pain from a new perspective following this presentation. In this discussion, John will cover how he as a strength coach for training clients who have multiple variables that affect their ability to handle applied stress within a gym setting, including how to manage these principles in conjunction with a sport coach. This information will include both theoretical aspects of load management in addition to very specific examples used at Cressey Sports Performance. Many strength and conditioning coaches have a collection of sprint and agility drills they like to utilize, but no organized framework of how to apply them. In this presentation, Cole will define a system for teaching your athletes movement. This presentation will include both a lecture on movement progressions, coaching tips, and crucial movement competencies; as well as a following practical/movement session. Whether you’re a high-level professional athlete or a desk jockey, at the end of the day, you’re a human being. In this hands-on presentation, Frank will outline the “big rocks” you should consider integrating on a daily basis and how to modify them to align with your own capabilities and goals. **Bonus session Saturday, October 13 at 3:00pm. This event has been approved for 0.8 National Strength and Conditioning Association CEUs. We’re really excited about this event, and would love to have you join us! However, space is limited and most seminars we’ve hosted in the past have sold out quickly, so don’t delay on signing up! If you have additional questions, please direct them to cspmass@gmail.com. Looking forward to seeing you there! PS - If you're looking for hotel information, The Extended Stay America in Marlborough, MA offers our clients a heavily discounted nightly rate of just under $65.00. Just mention "Cressey" during the booking process in order to secure the discount. Their booking phone number is 508-490-9911. Understanding and Coaching the Anterior Core - This presentation covers an incredibly important topic, and is now on sale for 40% off. Just enter the coupon code SPRING (all CAPS) at checkout to apply the discount. This is some great continuing education material for under $9. The Physical Preparation Podcast with John O'Neil - Cressey Sports Performance - Massachusetts Director of Performance John O'Neil hopped on Mike Robertson's podcast to long-term athletic development in baseball players. There are some great pearls of wisdom for anyone who works with middle and high school athletes. Caffeine Consumption: How Much is Safe? - The crew at Examine.com pulled together some of the latest research on caffeine consumption to outline how much is considered safe for various individuals across the population. Today's guest post comes from Cressey Sports Performance - Massachusetts coach, John O'Neil. With the off-season winding down, many players are wondering how to maintain the strength they put on during the off-season. Here are seven simple but effective ways to maintain strength during the baseball season. Here at CSP, we spend all off-season putting 10, 15, and sometimes 20 pounds on athletes to help increase their ability to produce force. Sports are won by those who exhibit greater Rates of Force Development (RFD), and, the limiting factor for many youth athletes is the ability to produce gross amounts of force. A larger person has a better chance of producing force. If your mass is decreasing throughout a season, maintaining the same levels of force production will be difficult. Make sure to consistently weigh yourself during the season. If you tend to be a guy who struggles to keep weight on, make sure to bring food with you to the field and stay properly hydrated. Sneaking in extra calories pre- and post-practice, in addition to occasionally having something to eat mid-game, could go a long way in maintaining body weight. Be sure to read EC’s article, 8 Tips for Not Wasting Away During Summer Baseball, too, if you haven’t already. This is a fancy way of saying to make your harder days focused on building yourself up and letting your easy days be focused on recovery. If you’re at the field six days a week, a seventh day of rest might be exactly what you need, instead of hitting the gym on day seven. Try and sneak in weight room sessions on the same days that you have extensive on-field work. All stress is stress. For example, a position player who is on his feet for 2+ hours a day six days in a row probably needs the seventh day to rest and would get a much greater benefit from stacking lifting weights on top of a few of the harder days during the week. Know that if you’re not taking care of your recovery modalities (through sleep, nutrition, lifestyle), your body’s ability to absorb and adapt to stress will be diminished. By switching to a tri-set format and making the session full-body, you can sneak in extra work and still finish the above session in under 40 minutes. In fact, even getting in two sets of all of the above multiple times a week will probably have greater carryover than going several days between sessions just so you can wait to get in the typical 18-24 set range that we hit during a mid-offseason session. 4. Understand the Difference Between Soreness and Progress. Not all strength training sessions need to be tough or need to make you sore to create progress. In fact, if you’re constantly sore during the season, you’ll be limited in your ability to output the highest levels of power that you can achieve. Simple ways to avoid soreness from in-season lifts include not including brand-new exercises – the novelty of a new exercise will create more soreness than one you’ve recently done - and avoiding high amounts of eccentric stress. For example, a Bulgarian split-squat is a great exercise, but a step-up might be a better in-season choice because it provides far less eccentric stress. Not all lifts need to be heavy grinders, either; in fact, maximal strength is the training quality that will have the longest carryover in terms of the amount of times you need to hit it just to maintain it. Issurin’s Residual Training Qualities chart claims that Max Strength will stick around for periods up to 30 +/- 5 days, which means you could theoretically hit Max Strength qualities 1-2x/month and maintain them. A simple action item to scale this would be to take your main lift and hit it within different zones on the force-velocity curve in different weeks: In week 1, go heavy (near absolute strength), in week 2, work on strength-speed, in week 3, work on speed-strength, and just rotate it. The weight room shouldn’t beat up your ability to play the sport during the season. 5. Don’t Waste Valuable Energy on Needless Extra Reps.
To add on the point I outlined in #2, your body doesn’t know the difference between fatigue created on the field and fatigue created in the weight room. If you’re a position player, know that the extra 100 swings you decided to take after practice are going to hinder your body’s ability to adapt to stress you want to add to it in the weight room. When it comes to extra on-field work, pick and choose your battles. We know that fatigue is the enemy of motor learning, so if you are sacrificing quality of on-field technique work because you feel like you need extra reps, you might be just getting worse at your sport. Keep the quality of all swings, throws, and fielding reps high and near the speed of sport if you want them to have carryover. If only the amount of reps that you NEED to take are applied, then you’ll have much more time and energy to get some strength work in. 6. Choose the Right Conditioning Modalities. We know that baseball is an alactic-aerobic sport. The average work:rest ratio amongst pitchers is close to 1:20 (delivery takes less than 2 seconds, average MLB time in-between pitches last season was 23.8 seconds). The average work:rest ratio for position players is generally far greater given the lack of action they’ll take part in compared to the pitcher. If you’re training for baseball by applying long-distance running, you’re essentially training to be less efficient at the time demands the sport requires. This topic is covered widely in previous articles (here and here) on this site, but it is still amazingly prevalent within the baseball community. To layer on top of the points I made above, you’ve sapped the adaptive capacity of the individual for something that has nothing to do with getting better at the sport. In short, keep your speed work fast and keep your rest time focused on recovery. An aerobic base is definitely important for pitchers. I just think distance running happens to be a terrible way to train for it. While this one may not directly relate to strength as much as a few of the others, it’s important to understand that if you are losing mobility you need to perform your sport at a high level, you now have to choose between spending time gaining that mobility back or maintaining strength. Force, power, RFD, speed, and all the other physiological qualities for which we train are only as good as your ability to use them on field. Simple strategies such as having a daily mobility routine as part of pre- and post-practice can save valuable time that you can use towards increasing the physiological qualities that I mentioned above in the weight room. Five minutes before and after every on-field session can save valuable time later in the season when overuse-related mobility concerns start to arise, not to mention, they’ll keep you healthy and on the field throughout the season. On March 4, 2018, Christian Wonders and I (John) will be delivering a one-day seminar, “In-Season Training Strategies for Baseball.” This event, which will take place at our Hudson, MA location, is a great chance for baseball coaches to learn about the training process and how communication between a strength coach and a sport coach can help take performance to the next level. Both Christian and John have experience working as on-field baseball coaches and as strength coaches, and they’ve used their ability to speak a common language with great success. It’s also a valuable event for strength and conditioning professionals to learn more about integrating performance training and skill development. For more information, click HERE. John O'Neil (@ONeilStrength) is a coach at Cressey Sports Performance-MA. You can contact him by email at joh.oneil@gmail.com and follow him on Instagram. We're excited to announce that on March 4, 2018, Christian Wonders and John O’Neil will be delivering a one-day seminar, “In-Season Training Strategies for Baseball.” This event, which will take place at our Hudson, MA location, is a great chance for baseball coaches to learn about the training process and how communication between a strength coach and a sport coach can help take performance to the next level. Both Christian and John have experience working as on-field baseball coaches and as strength coaches, and they’ve used their ability to speak a common language with great success. It’s also a valuable event for strength and conditioning professionals to learn more about integrating performance training and skill development. This one-day seminar combines pitching and training information and how to optimally blend the two during the in-season period. The goal is to preserve – and build upon – the athleticism that was built in the off-season while ensuring that players are fresh for the quality work that must take place in practices and games. Split into both a lecture and practical format, the event will provide attendees with detailed information on both the pitching and training ends, including multiple practical portions that will cover drill work, a bullpen, and technique demonstrations on valuable exercises geared with the idea of not only healthy but also increasing performance. Additionally, Christian and John will cover how to structure in-between start routines built around both training and throwing, and how such a routine could be individualized and changed throughout the season. Furthermore, they'll touch upon the pitfalls of many in-season training programs and how to better structure yours. Note: we’ll be capping the number of participants to ensure that there is a lot of presenter/attendee interaction – particularly during the hands-on workshop portion – so be sure to register early. Click here to register using our 100% secure server! John O'Neil (@ONeilStrength) is a Strength & Conditioning Coach at Cressey Sports Performance. John not only has experience training baseball players, but has also coached high school baseball and interned in player development with the Baltimore Orioles. He graduated from Dickinson College with a B.S. in Mathematics. You can contact him by email at joh.oneil@gmail.com. Christian Wonders (@CSP_Pitching) is the pitching coordinator as Cressey Sports Performance-MA and the owner of Elite Pitching Development. Christian previously worked as a strength coach at CSP-Florida, where he also coached high school baseball. He graduated from Georgia College and State University with a B.S. in Exercise Science. You can contact him at elitepitchingdevelopment@gmail.com.